Roofing & Siding Contractor Uxbridge MA Repair & Installation | Nor'easter Roofing Inc.
Uxbridge has a rich history and has been a leader in social reform since the birth of our nation! Uxbridge granted town meeting rights to America’s first woman voter, Lydia Chapin Taft in 1756, and approved Massachusetts’s first women jurors in 1922. Local Quakers led Uxbridge to become a center for anti-slavery work, a junction on the underground railroad, and home to national anti-slavery champion, Effingham Capron. A local Quaker, Abby Kelley Foster, led Susan B. Anthony, and Lucy Stone into the abolition movement. 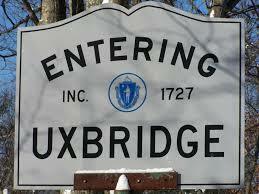 Nor’Easter Roofing is proud to serve Uxbridge, we deliver professional service and first quality products. For over 26 years we have helped homeowners add value to their most important investment. The roof is the most important component of your home. A leaky, worn-out roof risks all that is under it. Let our professional crew help you to protect your home. Our professional services in Uxbridge MA, include Roofing installation and maintenance, Vinyl Siding installation and repair, Window and skylight installation and repair as well chimney work and Ice dam removal.